Serve up some patriotism at your next event! 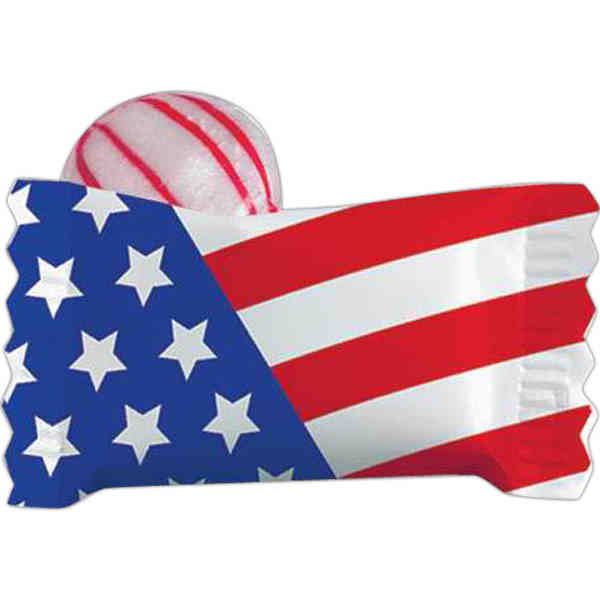 These non-melting red striped peppermint candies are individually wrapped in festive US flag wrappers. Perfect for an office candy dish, hotel reception desk and much more! Give them to everyone at the 4th of July party! Send them to enlisted members of the Army, Air Force, Navy or Marines to show your American spirit. Priced per case of 1000. Blank product.